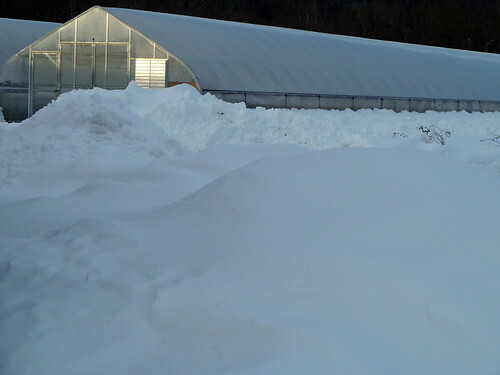 white greenhouse, originally uploaded by jahansell. I heard the marvelous Margaret Roach on this morning - it got me to thinking about seeds, soil, greenery, leaves, sun....spring. So I stopped in to see what was happening at Paley's. If they've got anything going in the greenhouse yet I couldn't tell - no way I was going to climb the snow mountain to find out! Nice light on the face of the greenhouse. It looks like they don't have any place to put the next storm's snowfall.